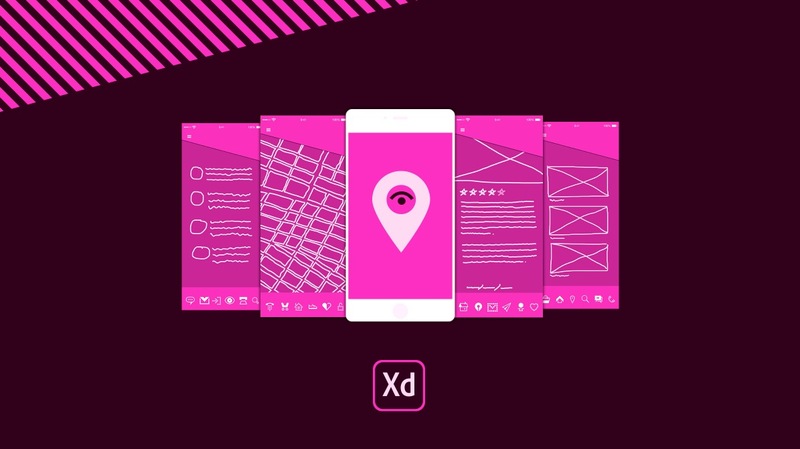 Adobe is behind a great contest : the Adobe XD Challenge. 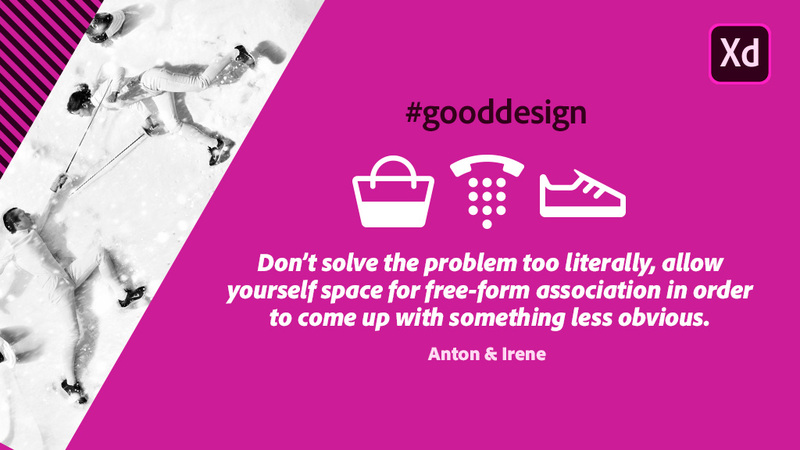 The brand teamed-up with three famous designers : Anton & Irene, Buro Destructet Lance Wyman. They had to imagine three kits of icons for UX designers. Candidates are invited to imagine a prototype app dedicated to travel lovers to offer them a new experience. Icons will participate to the storytelling fo the experience offered by the UX designers. The Adobe XD Challenge started on February 20th and will finished on March 15th. To take place to this challenge, creatives are invited to post their work on Behance by using the #iconContestXD hashtag. Winners will be announced on March 27th by Michael Chaize from Adobe and the three designer who create the icons. et les trois designers à l’origine des icônes. The designer duo Anton & Irene imagined an icon kit and also an app called Urban Walks, that inspired the Adobe contest. Then plunge us behind the scenes of their work that covers several types of art : product design, ux design, branding and photography. For all who would like to take part to this contest, they also give you some advices. Fubiz : Could you tell us a bit about your work, in a few sentences? 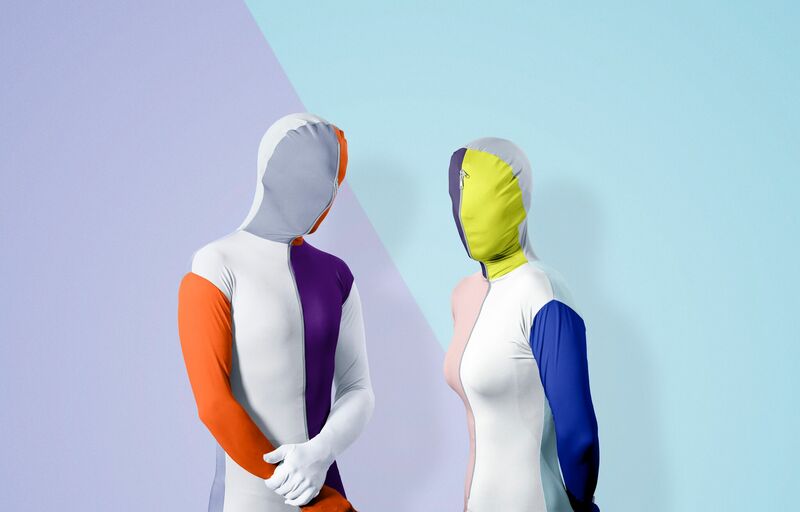 Anton & Irene : In the 10 years that we have been working together, we have worked on a very wide range of digital projects both in terms of size and subject matter. When we started our own studio, we wanted to make sure that we allowed time for personal experimentation, so now besides working on client projects, we reserve 40% of our time for self-initiated work. How important is UX design in your daily work ? Incredibly important. Everything we do is for a human being to interact with, and we ensure that we consider the entire experience from start to finish. What is the start point of your collaboration with Adobe? And as a part of the Adobe XD Challenge ? We’ve been doing some promotional collaborations with Adobe before, but for this particular Adobe XD Challenge we received an email late last year, got briefed, and worked on the icon set for the next 3 weeks. How did you come up with the idea of these 3 icons ? The icons we designed were selected by Adobe, and the other designers got the exact same icon set assigned to them (Lance Wyman and Büro Destruct). Since the icons we had to design were icons people are very used to seeing we wanted to make sure they were instantly recognizable, modern, easy to use at any size, and also a little bit special and quirky with a little personality. Their design is very minimalistic and simple. How did you imagine this explicit design? It was very important for us to design something that would be legible at the smallest size possible (as a menu item on a smartphone), so all superfluous information had to be deducted and removed in order to make that happen. As a jury member, which qualities do you expect from the candidates’ creations? The strongest combination of concept and craft. Would you have any piece of advice to give them ? Don’t be afraid to experiment. We have seen list mode, and maps, etc. now a million times on a million different apps, but can you come up with a different interaction model? Something new? Something interesting? If you’re looking for inspiration don’t look at other apps or digital products. Look at guide books, look at physical maps, look at real-world signage. In order to create something interesting you need to step outside of your own medium. Remember this is also a content challenge, so don’t just make a list of the obvious things in your city (things that are already on a million other lists), so think about what you’re passionate about, maybe you’re into comic books, or architecture, or hamburgers, whatever … make the list itself full of things that are unique and interesting and not just what everyone else will say about your city or town. Finally, how would you summarize the work of an UX designer, in one sentence? Good UX design is not only usable, but also a pleasure to use. An idea to share? An innovative design in you’re mind? That’s the great moment to share it by taking part to the Adobe XD Challenge. Have have to submit your work before the 15th March.